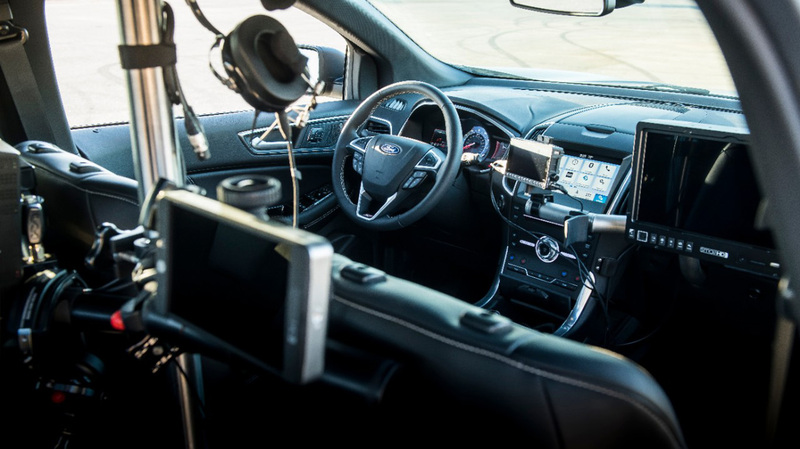 Ford has developed a one-of-a-kind 2019 Ford Edge ST camera car. Makes you wonder what a remake of “Bullitt” would look like if the Edge ST was chasing it. While a sophisticated drone can come in handy, a quick camera car that can support heavy and high-end hardware has its place all the same. The 2019 Edge ST is the first SUV from Ford Performance and is the quickest ST vehicle yet. Ford won’t put a precise figure on it, but the automaker says that “less than six seconds” is needed for the Ford Edge ST to sprint to 60 mph from a standstill. The first-ever Ford Edge ST is launching this year alongside a completely-refreshed Ford Edge lineup that features an all-new eight-speed automatic transmission co-developed by Ford and GM, and a standard 2.0-liter EcoBoost four-cylinder turbocharged gas engine. The ST is the only 2019 Edge model with access to Ford’s 335-horsepower, 2.7-liter EcoBoost V6 engine. According to Ford, transforming the Edge ST into a camera car meant adding structural support to its roof to accommodate equipment, including the nearly 1,000-pound Pursuit Arm. This arm, typically equipped with a gyro-stabilized remote-control camera, can extend far away from the vehicle, giving filmmakers the ability to capture unique angles of high-speed action. Wrapping the exterior in matte black vinyl so it doesn’t reflect in other vehicles. 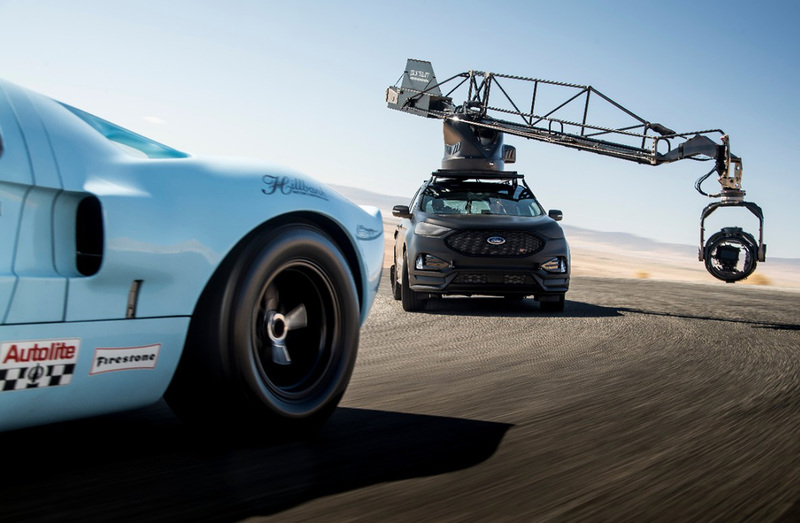 This one-of-a-kind Ford Edge ST camera car will join the Pursuit Systems stable of high-performance vehicles, taking its place along camera cars converted from a BMW X5 M, Porsche Cayenne Turbo and a Mercedes-Benz ML63 AMG. Granted, those are all much quicker and also much more expensive to start with, so the Ford comes in as a quick-enough budget option.